Hello friends! Here's to a new week, and hopefully a little sunshine. We have had rain every day for the past several days and I was beginning to wonder when we might see the sun again! Fortunately, things seem to be drying out a little today and I can almost see the sun peeking through the cloud cover. With all the rain, I had to reschedule most of my sessions last week, so I spent many hours editing. Bad news for my back, but the good news is that I'm already about half way done with the wedding! I am really hoping to finish it by next week because I have many more sessions this month and another wedding next month. Fingers crossed that I can pull it off AND manage to get some sleep! Look at that cutie! Love her! The lens sounds wonderful! I haven't tried it, but I have big hopes for the lens you mentioned rather having. Hope you get it soon! Maybe all this rain gave you a chance to get ahead of the curve before the sessions upcoming! Hope the sunshine comes back! I heard on the news how wet you've been! 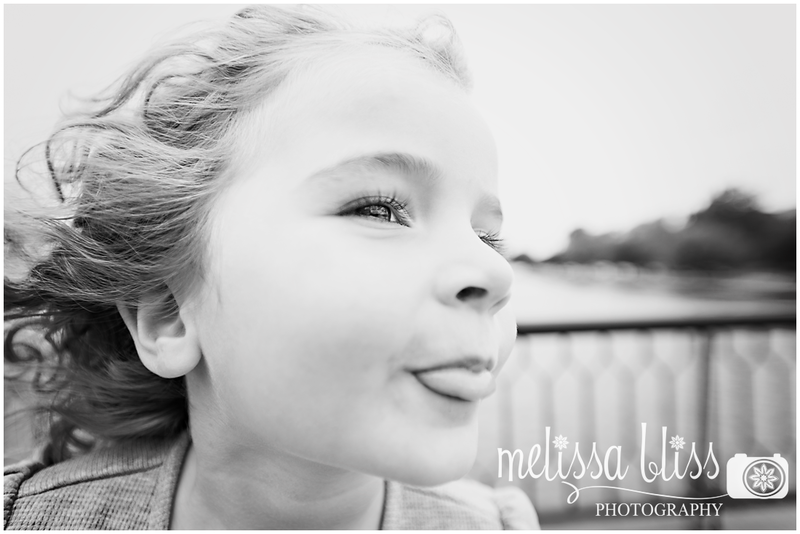 Such a fun shot with her tongue sticking out and hair blowing in the wind. Gorgeous eyes and lashes. Great capture. LOVE it- can't wait to see the wedding images.